The understanding of the nature of reality is the insight upon which the Buddha was able to achieve his own enlightenment. This vision of the sublime is the source of all that is enigmatic and paradoxical about Buddhism. In Verses from the Center, Stephen Batchelor explores the history of this concept and provides listeners with translations of the most important poems ever written on the subject, the poems of 2nd century philosopher Nagarjuna. 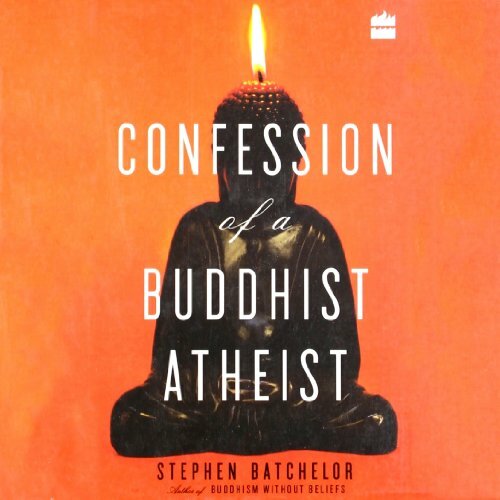 Written with the same brilliance and boldness that made Buddhism Without Beliefs a classic in its field, Confession of a Buddhist Atheist is Stephen Batchelor's account of his journey through Buddhism, which culminates in a groundbreaking new portrait of the historical Buddha. Stephen Batchelor grew up outside London and came of age in the 1960s. Like other seekers of his time, instead of going to college, he set off to explore the world. Settling in India, he eventually became a Buddhist monk in Dharamsala, the Tibetan capital-in-exile, and entered the inner circle of monks around the Dalai Lama. He later moved to a monastery in South Korea to pursue intensive training in Zen Buddhism. Yet the more Batchelor read about the Buddha, the more he came to believe that the way Buddhism was being taught and practiced was at odds with the actual teachings of the Buddha himself. 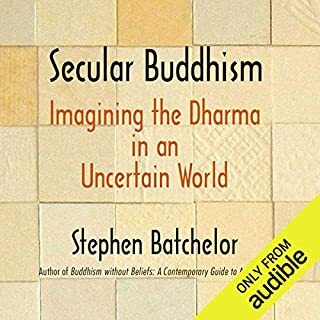 Charting his journey from hippie to monk to lay practitioner, teacher, and interpreter of Buddhist thought, Batchelor reconstructs the historical Buddha's life, locating him within the social and political context of his world. In examining the ancient texts of the Pali Canon, the earliest record of the Buddha's life and teachings, Batchelor argues that the Buddha was a man who looked at human life in a radically new way for his time, more interested in the question of how human beings should live in this world than in notions of karma and the afterlife. According to Batchelor, the outlook of the Buddha was far removed from the piety and religiosity that has come to define much of Buddhism as we know it today. 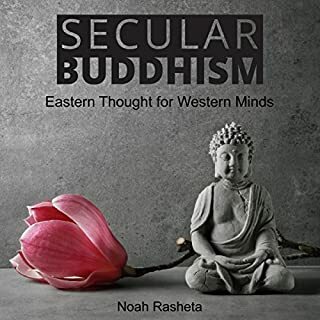 Both controversial and deeply personal, Confession of a Buddhist Atheist is a fascinating exploration of a religion that continues to engage the West. 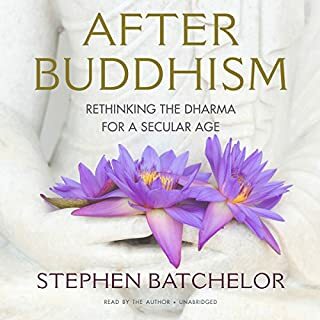 Batchelor's insightful, deeply knowledgeable, and persuasive account will be an essential book for anyone interested in Buddhism. ©2010 Stephen Batchelor (P)2013 Audible, Inc. Most of my life I've been agnostic. While I've never found a reason to abandon my skepticism, I'd have to admit that it has never been an easy intellectual position for me to find a sense of comfort or satisfaction in. Batchelor's book may well become a cornerstone in the psychological construct I use to view existence. 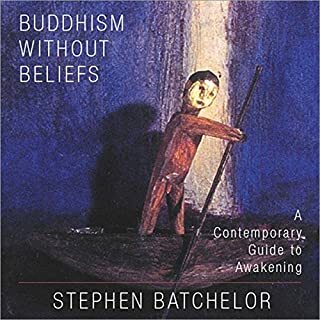 I am very impressed by Batchelor's deeply personal knowledge and experience of Buddhism. I am even more impressed by the way he offers this up to the listener. The book is not a sermon or a polemic, or even an argument, but an account of his lifelong exploration of Buddhism. 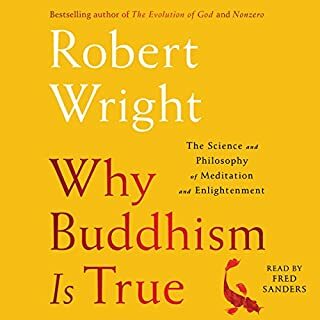 His account of living and working with some of the central figures of the practice, (religion/philosophy), his own experiences of practice, and his deep, disciplined, and I must say skeptical, research into the historical roots of Buddhism have provided a wealth of information to my exploration of mindfulness. His perspective is such that a confirmed agnostic such as I can identify with. I doubt if this is a book for for someone who is looking for a deeply spiritual or formulaic book on Buddhism, but it is a very good book if one is interested in understanding and, perhaps, embarking on the path of Mindfulness meditation, (which I'd call a derivative of formal Buddhism, a practice of traditional methods informed by scientific research). 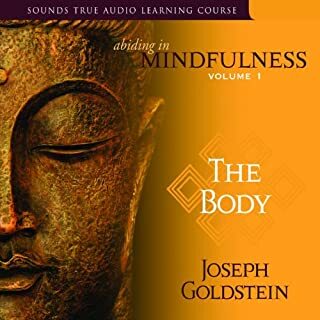 I came to this book after listening to Ronald Siegel's "The Science of Mindfulness: A Research-Based Path to Well-Being", from The Great Courses series. I think one may find they are good listens to experience as a series. I'm an atheist, but I do identify with some of the Buddhist teachings. I listened to almost 4 chapters of this hoping that it would eventually "hook" me, but I finally gave up today. He's all over the place chronologically. That was one of my biggest issues. The other was since I'm not a Buddhist, I struggled with the terminology. Would've probably stuck with it if those two things had been better. I definitely recommend. Great mix of autobiography, recent history of western encounter with Buddhism, and context and history of the historical Buddha. Happy to find a kindred spirit who is interested in the practical side of Buddhism but not interested in believing in tradition, metaphysical spirits, or submission to authority. Thanks Mr. Batchelor for putting the effort into researching this and sharing with the world. I bought this book quite a while ago, but could never find the time to finish it. The audio book made it easy to finish and it was well worth it. With the exception of his statement at about the 9:33:00 mark that he sees no reason to put more weight of evidence into his belief system based on science than the Buddhist does based on meditative proofs, Batchelor completely nails the task of providing a thorough and clear understanding of the strengths and weaknesses that Siddhartha's ideas have developed into. Apparently, he does not believe that his beliefs would stand up to the scrutiny of one who did not already share his belief system. Perhaps one day I will be fortunate enough to explore his position. Perhaps his position as stated in the book has already been altered. In either case, this book is a treasure and a soothing antidote to the injections of unvalidated dogma heaped onto the unknowing by those Buddhists who appear to have married their mind to mindlessness. This book has changed the way view current buddhist texts versus the compilation of all the sutras. Buddhism seems to have a bit of senseless dogma like every other religion even though it is not a religion. Maybe it’s better to just read all the sutras as an individual and find an individual path to enlightenment. It could be that there is no wrong way. the book I've been looking for! Read by the author, I couldn't turn it off. so many questions answered, clarified, and put into perspective. This is my favorite of Bachelor's books. If you have played with the ideas of becoming a monk/nun but are unsure at some of the mysticism innate in some forms of Buddhism, I highly recommend you read this. it might save you a trip. Beautifully written and narrated. Personal journey of the author through religious into sectarian Buddhism. Pleasantly read by the author himself.